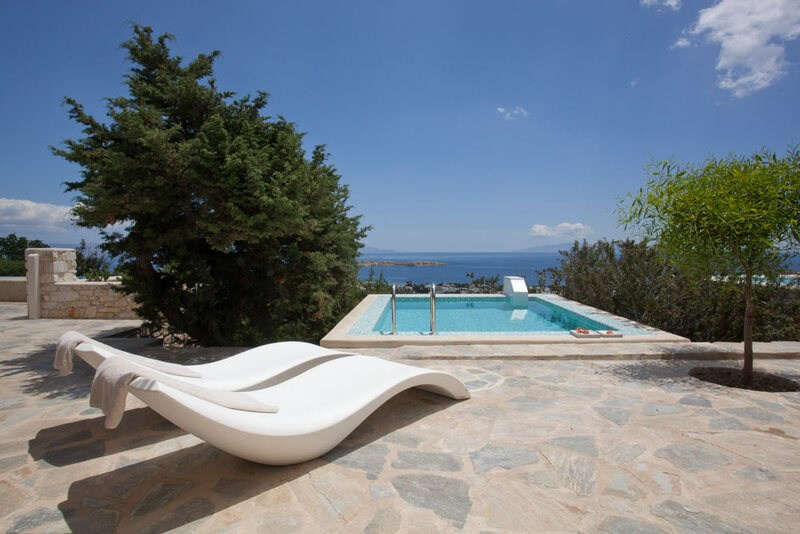 Description: Calme Hotel is a relaxed luxury boutique property located in a perfect location, overlooking the beautiful bay of Chrissi Akti and the village of Drios. 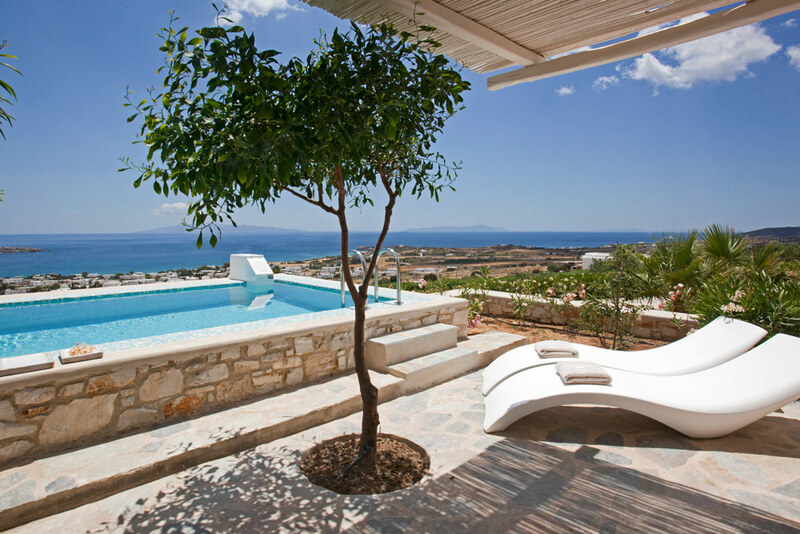 The hotel offers a collection of luxury rooms and suites, each have a private terrace with plunge pool plus wonderful sea views. 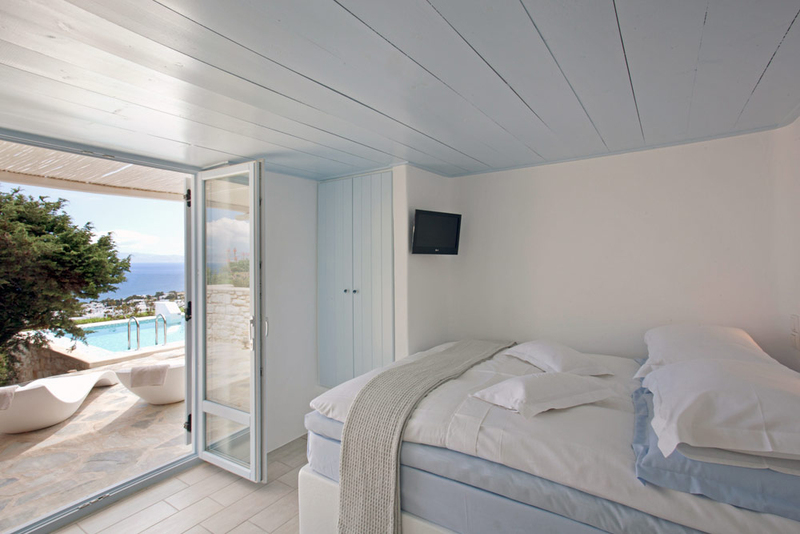 The rooms are stylishly furnished and all offer a high degree of comfort. 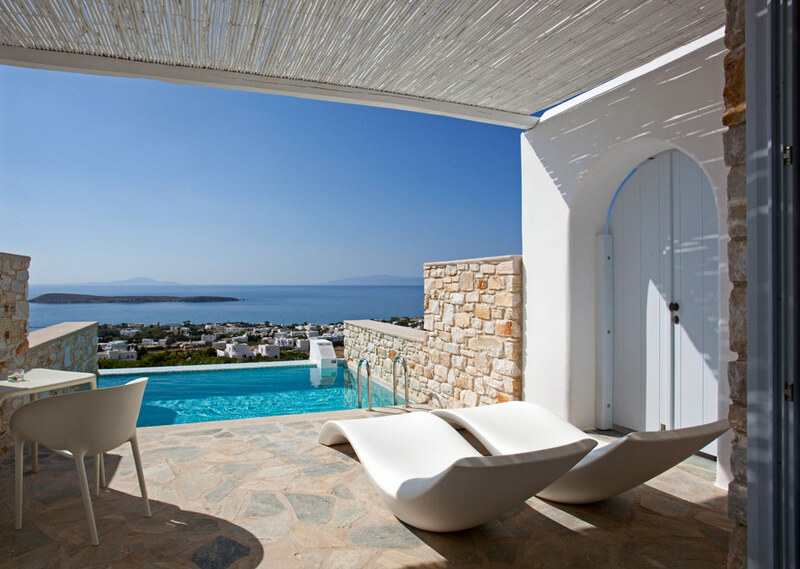 The hotels Gourmet Restaurant features a mix of classic greek and modern Mediterranean menus, here you will be well looked after each morning for a delicious Greek breakfast with many home made products. The hotel is set in attractive grounds and a fully equipped gym/fitness room is also available to guests free of charge. 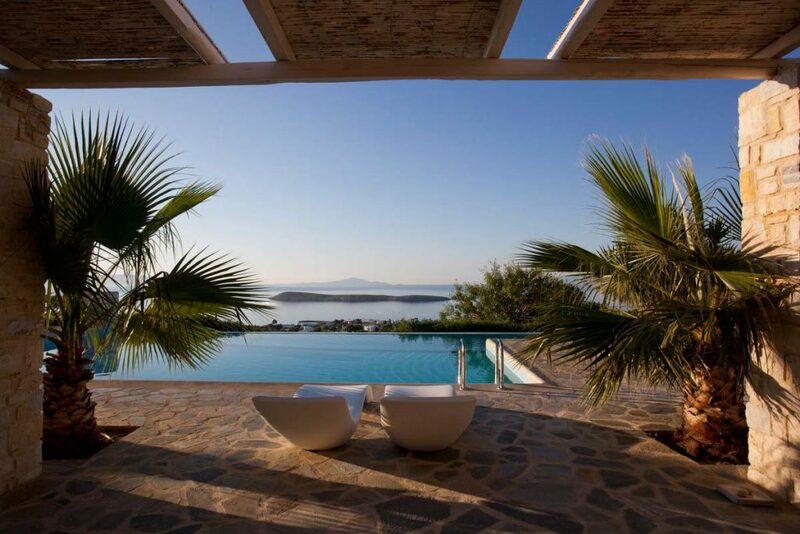 This hotel is the ideal choice for guests wanting to experience the beautiful island of Paros while staying in a luxurious environment, both relaxing and romantic. 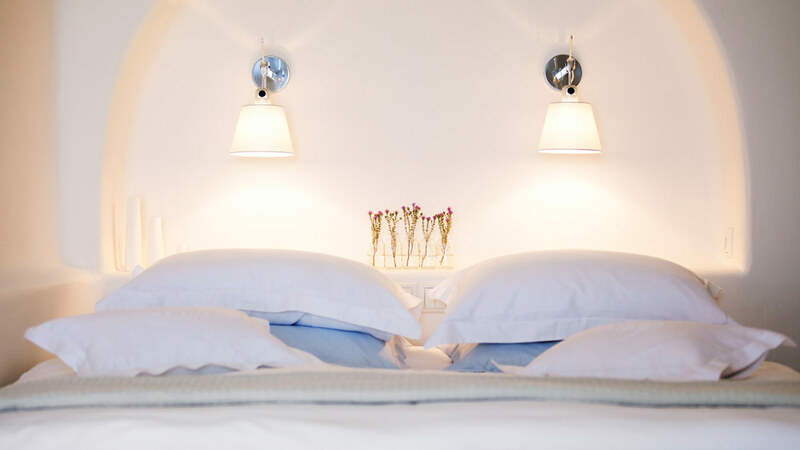 The luxury rooms and suites vary in size and style, all are furnished in Chic minimal Cycladic style, the property can offer double rooms, suites for 1 – 4 guests and also a Villa sleeping up to 7 guests, the villa also features a private pool.